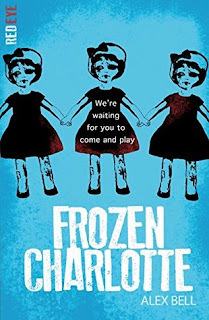 Frozen Charlotte by Alex Bell is honestly one of the creepiest books I have ever read. It was the first Red Eye book from Stripes that I picked up, and it reminded me why I love horror so much. And it kept me up at night. Sophie arrives at the old schoolhouse to spend the summer with her cousins. Brooding Cameron with his scarred hand, strange Lillias with a fear of bones and Piper, who seems just a bit too good to be true. And then there’s her other cousin. The girl with a room full of antique dolls. The girl that shouldn’t be there. 5 Words: Family, Ouija, evil, dolls, isolation. So, I didn't sleep very well last night. I kept waking up, sure that I could feel icy little hands grabbing at my legs. This book is creepy and chilling. And it stays with you. I loved the poisonous relationships, the twists and turns, the horror, the way I felt so scared. I loved it all. 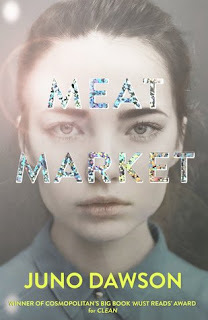 This is fantastic horror writing and everything is perfect, from the feelings of the characters to the isolated setting. I liked the way that this book wasn't afraid of technology, that the characters had smartphones and it all started with an app. This book had me spending an hour or so researching Frozen Charlotte dolls. How creepy are they?